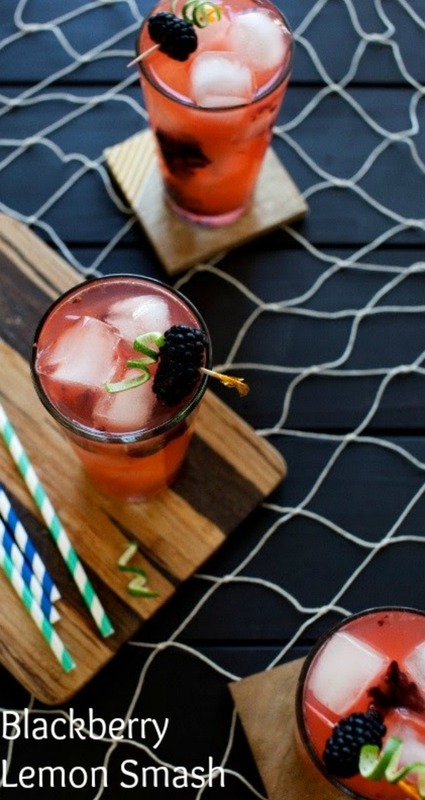 Warmer weather means that you are looking for a refreshing beverage most likely. If you are looking for something that is a little more adult, this Blackberry Lemon Smash will definitely be perfect for your taste buds. I know that when I am relaxing during some down time, I love to have something that will taste great and also take some of the day’s edge off. These flavors together are perfect for this type of relaxation. I love that it is a simple cocktail that doesn’t have a lot of steps. 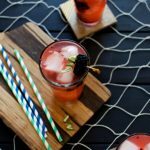 With a mix of white rum and vodka along with fresh blackberries and sparkling ice lemon lime, this combination is sure to please even if it is just relaxation by yourself or a get together with friends. Mixed drinks can be so fun to try and finding new ones is awesome. I love fruit inspired mixed drinks and so when I made this combo, I was so ecstatic. It tasted amazing and was exactly what I wanted in a mixed drink. There is nothing more disappointing when your drink tastes too much like alcohol. This Blackberry Lemon Smash hits the spot and does not have a crazy alcohol taste. Plus, you have the fresh fruit that will give it an even more fresh taste. Just imagine yourself sitting down to enjoy your favorite TV show, book or even gab with your friends a little bit. This drink is the perfect compliment to any of those things. You deserve to take a load off every once in awhile. Take a break and enjoy something that you love and beat the heat while you’re at it. You will not be let down by the Blackberry Lemon Smash, period. Whether it’s working or the kids that drive you a little crazy, this will help you find your happy place for your mind and your taste buds. There is no doubt about it! Add rum and ice. Shake and strain into a chilled pint glass over ice. Fill with Sparkling Ice Lemon Lime.